For this week’s card, I went back to my sketchbook to see what I had there. I had sketched the layout of this card months ago. I remember at the time the image of long yellow flowers surrounded by a purple glow had popped in my head. I had gone searching for the flowers online, and found they were Cala Lilies. 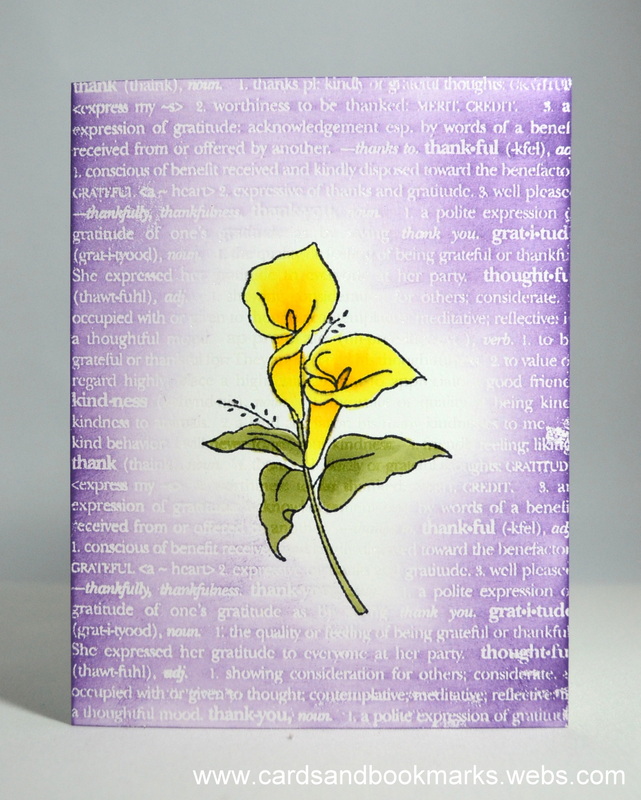 I know Cala lilies are usually white, but in this card, they had to be yellow! Such a cool technique and beautiful color combo!